The Pakistan Super League has provided a great platform for youngsters from the country to show their talent at the top levels. In the previous 3 PSL seasons, many young cricketers including Hasan Ali, Shadab Khan, Mohammad Nawaz, Rumman Raees and Hussain Talat a few to mention, have performed and gone on to play for Pakistan’s National Team. 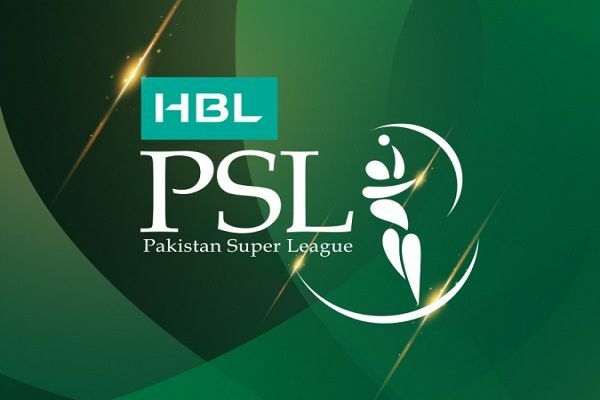 The 4th season of the PSL is only a few days away and there are quite a few unknown faces in the six PSL sides with their potentials to show this season. 22-year-old Rizwan Hussain is a hard-hitting opening batsman from Lahore, who was picked by Islamabad United as one of the supplementary players from the emerging category in the players draft 2019 season. Rizwan originally belongs to Pir Mahal, a small city in the Toba Tek Singh district, but moved to Lahore in 2012 to pursue a career in cricket. After having had successful seasons in Lahore’s club cricket, where he plays for P&T Gymkhana, and a few performances in the Quaid-e-Azam Trophy, Rizwan caught the eyes of the United and was picked for PSL even before his T20 debut. Rizwan made his first T20 appearance in the National T20 Cup 2018 in Multan and ended the tournament as second-highest run getter scoring 311 runs at an average of 51.83 and a strike-rate of 131.77. The 19-year-old left-arm spinner, Umer Khan, made a dream debut in first-class cricket this season when he took six wickets in Sui Southern Gas Corporation’s win over Peshawar in Karachi. Although he went unnoticed in the PSL draft, Karachi Kings picked him in the replacement draft in January as the 21st player. Although Umer was born in Rawalpindi district and started cricket in Taxila, his ancestral place is Mohmand district in Khyber Pakhtunkhwa. The left-arm finger spinner was part of the Pakistan Under-19 team that recently beat Bangladesh by one wicket in an Emerging Asia Cup match in Galle. He is uncapped at T20 level but very keen to make a mark in the coming PSL. The 25-year-old fast bowler is one of the most talked-about emerging players ahead of the fourth PSL. Picked by Lahore Qalandars through their Players Development Programme, the right-arm fast bowler has the ability to go above 150kmph and is known for his yorkers as he showed in the Abu Dhabi T20 Trophy last October. Haris has played only two T20s so far – for Qalandars against Titans and Hobart Hurricanes in Abu Dhabi, taking a wicket in each match. He bowled seven overs in a pair of T20 games conceding at only 6.71 per over. The speedster hails from Rawalpindi and went to Gujranwala for trials conducted by the Qalandars in 2017. The highly talented middle-order batsman, Saud Shakeel, is from Karachi where he started his cricket at the UBL Sports Academy. He is 23 years old and was part of the Pakistan team that played the ICC U19 Cricket World Cup final against South Africa in Dubai in 2014. He was first picked by Quetta Gladiators for the PSL 2018 but didn’t get any games. He is one of those players who was retained by the Gladiators for the 2019 season and is likely to make his PSL debut this year. Saud is yet to show his true potential in T20 cricket but has scored 1,987 runs in 50 overs cricket at an impressive average of 52.28 with the help of two centuries. The 22-year-old top-order batsman, Samiullah Afridi, got the attention of PSL franchises when he scored an unbeaten 104 for FATA against an SNGPL team that comprised eight Test cricketers in the Quaid-e-Azam Trophy this season. Samiullah natively belongs to Khyber Agency but was born and raised in Peshawar where he started his cricket career in 2010 and played at both the under-16 and under-19 levels. He was picked by Peshawar Zalmi as a supplementary player. With 167 runs at 23.28, he was also the top run-getter for FATA in the National T20 Cup in Multan in 2018. The 19-year-old fast bowler is an uncapped T20 player, but his numbers in first-class cricket are eye-catching. Ilyas is a product of club cricket in Peshawar and made his first-class debut this season. In the very first match of his career, Ilyas accounted for 10 wickets, helping Peshawar to register a win against Islamabad in a Quaid-e-Azam Trophy match. He took five wickets in each innings. In five four-day games, he has picked 33 wickets at an average of 15.90 and taken three five-wicket hauls. He was picked by Multan Sultans as an emerging player in the players draft for PSL 2019.